Moving to T-Mobile from Verizon. We've been Verizon iPhone users for years - ever since the iPhone 4. On Black Friday, we switched to T-Mobile. Ultimately, their offer was just too good. 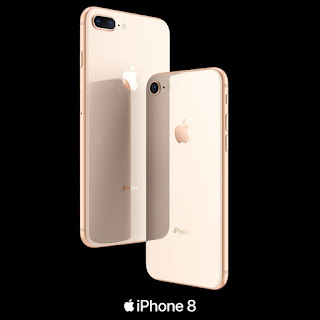 I'm sure you've seen the ads - Buy One, Get One Free on iPhone 8. T-Mobile and AT&T (and who knows, maybe others) are running those sorts of promotions. My wife and I have both used iPhone 6 for the last several years. The 7 didn't seem like a compelling upgrade.... not with the X right around the corner. So why did I buy an 8, instead of an X? Well.... it's because my son needs a smartphone. With T-Mobile's offer, buy Ms. AAAD an iPhone 8 Plus for $799. We get a free iPhone 8 for me. We sell Ms. AAAD's iPhone 6 on eBay -- to defray $200 or so from the cost of her $799 8 Plus. And, our junior highschooler gets MY iPhone 6 - so we can keep tabs on his whereabouts (and make sure he doesn't get stranded!) during afterschool extracurriculars. All three phones move onto a T-Mobile ONE plan, with unlimited data, for $140/month. We were previously on a 10GB plan at Verizon, at $106/month - but we constantly incurred $15 or $30 overage charges. Now, we're adding a 3rd line AND moving to unlimited, for $35 extra per month. There are some other benefits - for instance, we'll be visiting my sister in London soon, and the phones will work there at no extra charge. But the bottom line - if you've got 2 older iPhones, a BOGO deal on iPhone 8 with no trade-in required is a VERY cheap two-phone upgrade, when you take the sale value of your old phones into account. My wife goes from an iPhone 6 to an iPhone 8 Plus. I go from an iPhone 6 to an iPhone 8. Our son goes from no phone, to an iPhone 6. ...all for the price of purchasing one phone. And we all move to unlimited data. Verizon simply wouldn't match that deal.... so we jumped. Now let's see how well the T-Mobile network performs!